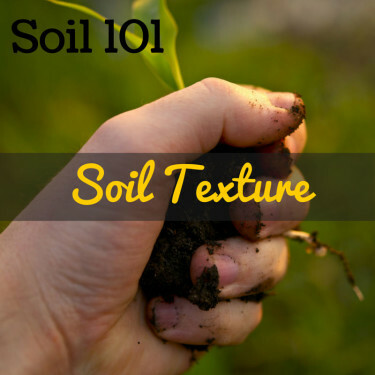 By measuring the percent of sand, silt, and clay present in a sample of soil, one can determine its soil textural class using the USDA textural triangle. 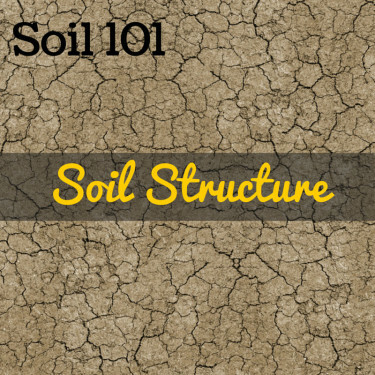 There are 12 texture classes on the triangle: sand, loamy sand, sandy loam, sandy clay loam, sandy clay, loam, silt loam, silt, silty clay loam, silty clay, clay loam, and clay. When we talk and think about soil, we often do so in terms of its horizons, maybe we say things like “that’s a heavy clay soil”, or we key in our its color attributes, like “that’s a good dark topsoil”. 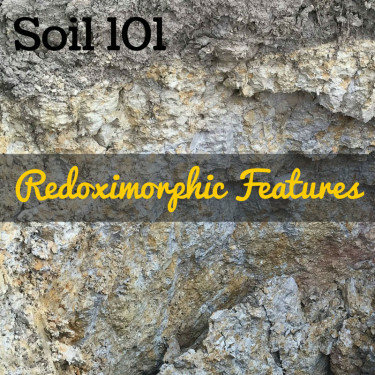 If you’ve ever had the opportunity to examine a soil profile in an excavation, you certainly have noticed all those attributes and likely others, especially as you view the soil for the first time. But once you first take hold of the soil, detaching it from the profile face, the structure immediately takes center stage. Historically, the term “mottles” has been used to identify differences in color patterns in a soil profile. Those color difference can be a result of something inherent in the parent material that formed the soil, the movement of organisms (worm channels), deposition of heterogenous materials (alluvial deposits), and chemical reactions in the soil (reduction/oxidation) to name just a few. Because of the wide range of origins for the existence of mottling, soil scientists decided to coin a new term to specifically capture mottles that formed as a result of saturated conditions in the soil. That term is “redoximorphic features”.